Its very important to make backup of your important files regularly because we never know when our computer is going to crash or hit by virus. But its not possible to make backup and save them manually at regular intervals. What we need is an automatic system to perform this task for us. There are lots of free and paid software to create and save backup on our computer. In-fact windows itself has an inbuilt feature of creating backup and restoring the computer. But advanced users need advance backup software to make things easy. Handy Backup Professional is a very good backup solution. It is very easy to use but packed with powerful features. 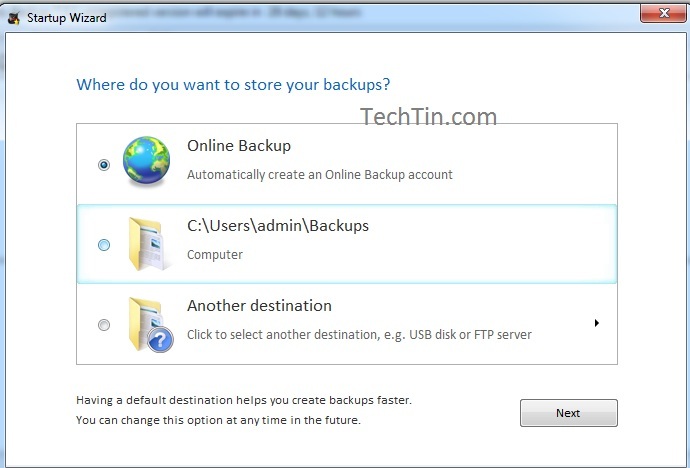 Handy Backup Professional offers you to save backup at three location. Another location like External Hard disk, USB drive, FTP server etc. The website says that the software is compatible on following OS: windows 7, windows vista, windows XP, windows server 2008. I have not tested the software on windows 8, but it should be compatible on windows 8 also. The company offer 30-days free trail. You can try the software for 30 days, and then purchase it.